FRANKFORT, Ky. – June is the halfway point on the calendar and is highlighted by the longest day of the year: the official start of summer on Friday, June 21 this year. For Kentucky’s 90,000 plus archery deer hunters, the Summer Solstice seems to trigger another seasonal phenomenon – the need to get ready for the upcoming hunting season. Kentucky’s 136-day archery deer season opens in late summer, this year 15 days before the first day of fall. The season dates are Sept. 7, 2013 through Jan, 20, 2014. The signs are everywhere across rural Kentucky that deer season is not that far off: mast is beginning to grow on trees in the woods, fields are lush with clover and tall grass. Deer fawns are becoming more visible and bucks are growing back their antlers with renewed vigor. When deer season opens, deer will still be in their summer pattern and highly visible while feeding late in the day in fields. 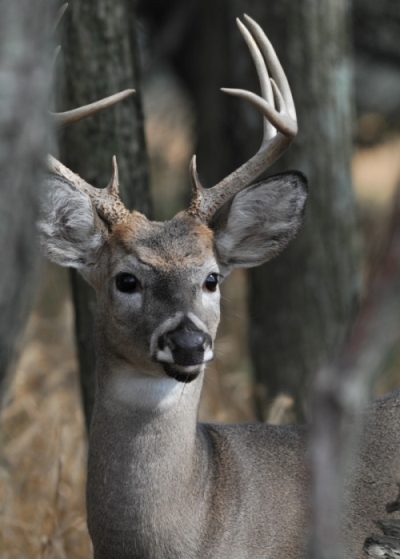 For avid archery hunters, it’s never too early to think deer. Late June is a good time to get organized by checking out equipment and adding new accessories. Start practicing, even if it’s been months since the last hunt of last season. For archers who don’t shoot year-round, here’s a checklist to study in preparation for the upcoming season. Take your hunting bow to a trusted technician now and have it checked out, top to bottom, especially the bow string. If you plan to change vital equipment, don’t wait, do it now. Inspect arrows carefully. Make sure they are straight and free of cracks. Replace damaged fletching or nocks and be certain that the weight of your field points (practice points) are the same weight as your hunting broadheads. Set aside one broadhead for practice. As opening day of archery deer season approaches, sight in your bow with your practice broadhead. Older archers might consider turning down the poundage or the draw weight of their compound bows and just shoot a few arrows a day, to build muscles back up. Sloppy practice is bad practice, even in the beginning. Concentrate. Get back into the rhythm of archery. When the season opens and you draw on that first deer, your mind and body should be on auto-pilot. Archery is part mental, part muscle memory. Be ready.